Nikken Kosakusho Europe are delighted to announce the launch of two new tool presetting machines to the market. The e236N and e450N have been developed as key additions to the 'entry' level end of the popular 'Elbo Controlli' range promoted and supported by the Euro Centre. The new e236N is the replacement for the esiSET presetter. Upgraded for both quality, performance and function this machine still retains its lower than average market price but now comes loaded with features and specifications which are normally found on higher specification equivalents. 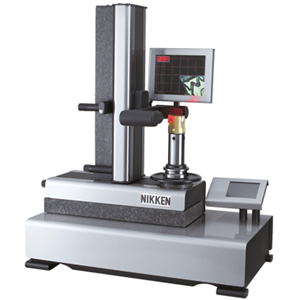 As well as the launch of the e236N Nikken are also very pleased to introduce their e450N tool presetter. This model builds on the strengths of the previous Sethy model and adds a larger TFT camera system (116mm x 87mm up to 212mm x 160mm) and also a new interchangeable vacuum clamp spindle system. Originally, on the Sethy model, tool clamping was simply not an option. For further information and specification on our complete range of presetters please do not hesitate to make contact with your local Nikken Europe sales office. Full specifications for every model are available within the presetter sections of this website. Nikken is a partner in the University of Sheffield Advanced Manufacturing Research Centre and is a Member of the Machine Tool Association.? ?